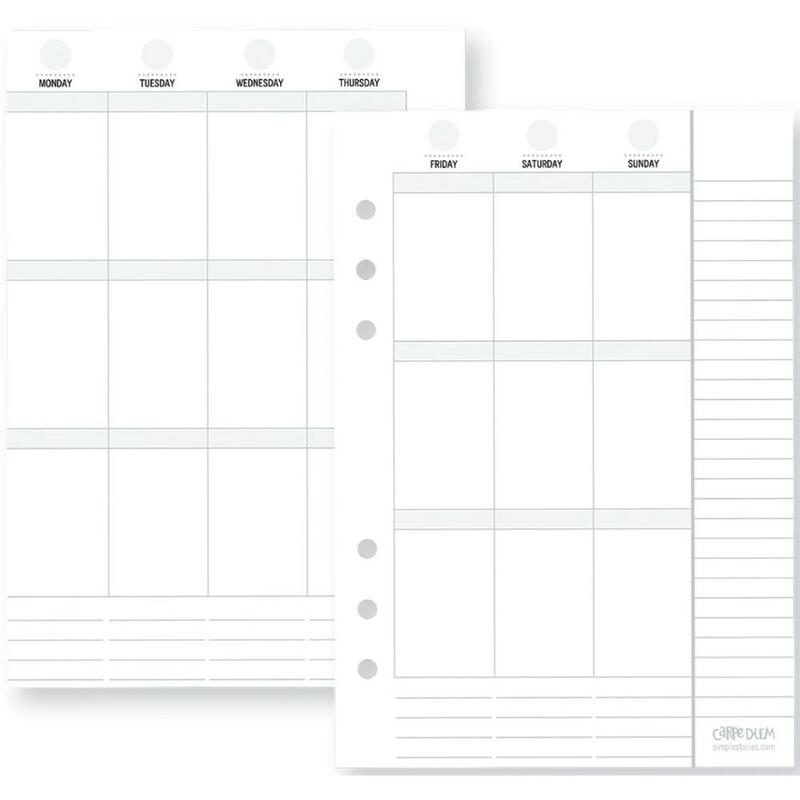 This package contains 72 )seventy-two) A5 Double Sided Inserts of your Carpe Diem Planner OR any Planner that has Six (6) Hole Punches on the left side. Yes - I have used these in the Webster Pages Planner. Product by Simple Stories.